Sunday, March 31, 12:00 p.m. – Letter and Card Writing Volunteer Opportunity. 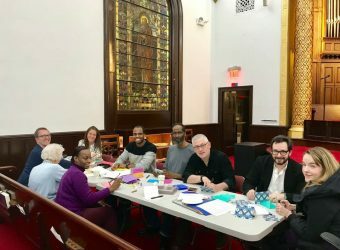 After the service we’ll gather to write cards and letters which will be sent to a variety of individuals, ranging from elderly and sick members of the congregation, incarcerated youth, veterans, our troops overseas, and more. We need your help in this process! If interested, please RSVP to Adom Crew at adom.crew@gmail.com.